Anne Connor’s debut memoir Two Generations is available at all good bookshops and as an e-book. Released in April 2018 and based on a true story, Two Generations explores the lived familial impact of secrets, suffering, forgiveness, hope and redemption. Lae, New Guinea 1943. Jock Connor is part of a regiment sent to set up a base camp at the Butibum River. During an Inspection of Arms, Jock’s Owen sub-machine gun accidentally discharges . . . .
It’s an event that will hold deep ramifications for years to come. On his return to civilian life Jock’s wife, Bess, is faced with a new version of her husband – a man emotionally wounded and spiritually broken, and a father who is short-tempered and withdrawn. When Anne delves into her father’s past two decades after his death, she learns about this tragic event for the first time, and begins to tease out the compelling story of her mother and father. Weaving a tale of romance, hardship and resilience, Two Generations is an intimate and imaginative retelling of the lasting effect of secrets on a family, and the greater impact of the Second World War on northern Australia and Darwin. Anne is a Melbourne writer of non-fiction and fiction. For over two decades, she’s worked in the writing space and her non-fiction has appeared in The Age, Business Review Weekly, lifestyle and industry magazines. 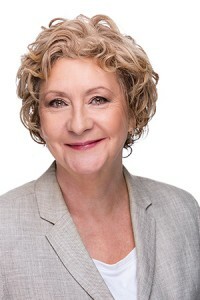 She spearheaded a marketing and communications’ consultancy for nine years and managed the marketing and public relations of a major national health campaign for a peak body in the aged care sector. A book she wrote on dementia risk reduction was translated into ten languages. Her short stories have been published in anthologies, received awards and highly commended in short story competitions. Anne studied creative writing at Deakin inMelbourne Australia and at the University of Oxford, UK. She is inspired to write about the human condition. She believes and hopes this touches the hearts of readers, leading to a greater understanding of why people act the way they do.